to spice things up a little, at any given opportunity. So yes, that is a body jewel. A quite unconventional Jarretière worn on the leg and fitted on the waist, made of silver and “diamond polish” black spinel gemstones, by Angelo di Spirito Rosa. It also comes in a beautiful packaging which makes it the perfect gift for those who dare it. 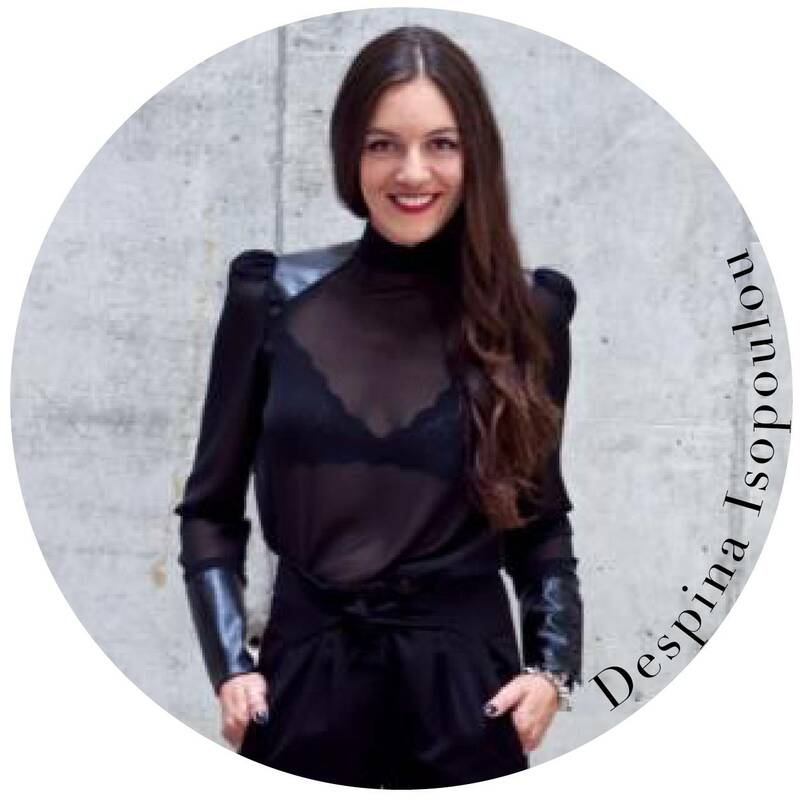 Black wool cape-jacket Sotiris Georgiou. Triangle leather bag Candybag. Satin sandals with pink metallic strap Dior. On the nails: Korres 54 “Sparkly Red”. On the lips: Korres “Seductive” Twist Lipstick.